SEBO's past accomplishments point to quality products and a dedication to serving customers well. 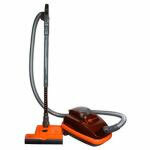 Try a SEBO vacuum cleaner in your own home, and compare it to your current machine. 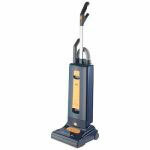 You will see the difference a SEBO vacuum makes in cleaning performance and overall ease of use! Save Money! SEBO's Last for Years and Extend Carpet Life! - If properly maintained, SEBO vacuums save ordinary residential users hundreds of dollars by providing excellent performance for ten to fifteen years or more, and their deep-cleaning power-brush technology extends the life of carpets. Typical vacuums perform poorly, even when new, and usally do not last beyond two years. So six or seven "disposable vacuums" must be purchased during the average life expectancy of just one SEBO machine. Five-year Warranty Coverage - All SEBO models include a five-year warranty on the motor and all non- wear parts and a five-year warranty on labor charges. The AUTOMATIC X vacuums include a lifetime warranty on the belts. Remarkably Quiet Operation � Intelligent design and high-quality motors combine to provide amazingly quiet vacuums. SEBO Microfilters Ensure Continuously Strong Suction Performance � They are also long lasting, inexpensive and easy to change in seconds. Choose S-class or HEPA filters. . . either type of filtration is an excellent choice! Effective Filtration Requires a Tightly Sealed Vacuum � Dirty air, which flows through a vacuum, can only be filtered completely if it does not escape into the room through seams or seals in the machine. This is why all SEBO vacuums have tight seals throughout. Both S-class and HEPA Filters are Available - S-class filters come standard on all SEBO vacuums, and HEPA filters are an option available for most models. They both remove 99.97% of particles down to 0.3 microns in size and 100% of praticles of one micron and above. For comparison, 100 microns is the diameter of a human hair. 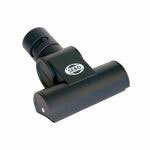 Choose from a wide variety of innovative SEBO products that are reliable and durable.